General BVE/OpenBVE / Do these remind you guys of something? 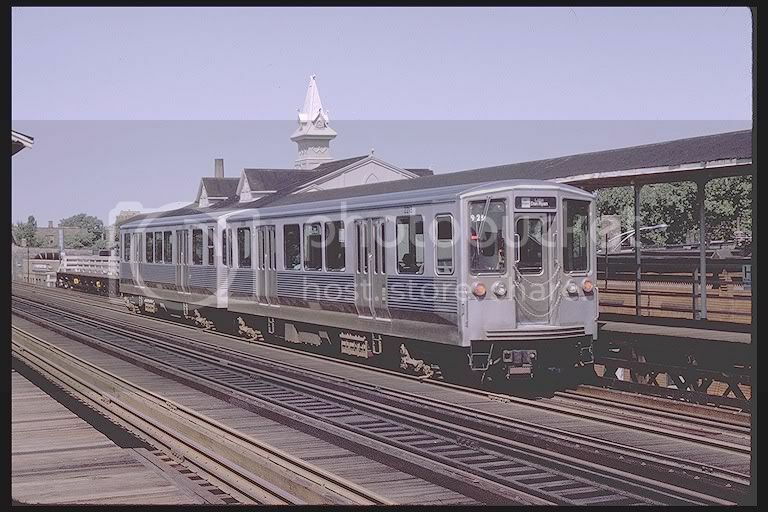 Top: Original (1969) CTA 2200 series Budd built married pair rapid transit "L" cars,with the chicago signature "Blinker Doors". Bottom: Re furbed in (1992) by you guys very own Coney Island Overhaul Shops. This is how they look today still in revenue service on the BlueLine (cta's west-NW route to O'hare airport). They are the oldest models in the fleet,which are about to be retired when the CTA receives the rest of the new 5000 series Smart cars. Hello out there BVEstation. My name is Brian. All my friends call me Breezy (bc of my laid back and super social attitude), known to the BVE community as CTAredlineNYCTace / aka-The homeboy railfanner. Lol, kinda funny huh? Anywhoo( ), I hail from the city of the GO-aka- Chicago,where I have been a rail enthusiast,and a public-transit student since the age of 4. So with that being said before I reached the age of 7, I had completely learned the entire Chicago Transit Authority's rapid transit and mass transit system. Which also helped me learn the city and city streets. This would prove very helpful in my future career choice in public transit. At the age of 11,In grammar school I used to draw and paint from memory trains and buses. I did it so much that I was often caught in class, not doing my school work but drawing.(lol). So my art teacher decided to debut some of my really extensive work on the wall outside of our class door and an art gallery owner and developer also decided to take it a step further and debut my work in his gallery. The name of the exhibit was CTA past and present @ The Intuit Art Center here in Chicago on north Halsted Ave. This only fueled my passion for public transit more. So I hit the library and started studying. The first book I read was Destination Loop by Brian J. Curdy(you guys should pick that up. Its a good read),which lead to his second book, Under The Sidewalks Of New York. That is the book that really got me interested in the MTA. I saw how our system was designed to replicate the MTA's system. Then I realized that CTA copies everything the MTA does. I-E; The Metro Card System. (CTA's is the Transit Card System. Same Cards machines and turn-styles. NYCTA had it 1st.) So I figured why not go directly to the source and see it first hand. I then thought if I am to have a career in public-transit then I will need some experience. So I began to obtain jobs dealing directly with the public as to learn how to deal in public relations. Cashier,sales,telemarketing,tour guide,Taxi Cab Dispatcher, Limo-Livery driver and finally a Taxi Driver. I've been a licensed chauffeur in the city of Chicago for almost ten years and I like the job but not as a career. Also with a lot of things screwed up here in the city of chicago and the state of Illinois's polotics not to many chauffeurs are making too much money now. The skills that I've acquired being a chauffeur are golden to me. They are and will be a great asset to any company corporation or organization I bring them to. With all of the financial problems and polotics involved with the CTA, I just don't feel comfortable being placed into that environment, especially seeing that this is a major transit corporation that has not or tried to expand and step up the progress of the system since the opening of the orangeline to Midway Airport in 1993. It has taken the CTA almost 20 years to begin replacing the rest of our rapid transit "L" cars since the retiring of our St.louis Car co. 6000/1-50 series and the Pullman-Standard 2000 series cars at the closure and rehab of our west-south routes(formerly the Lake street "L",Engelwood "L",and Jackson park "L") also known today as the greenline. 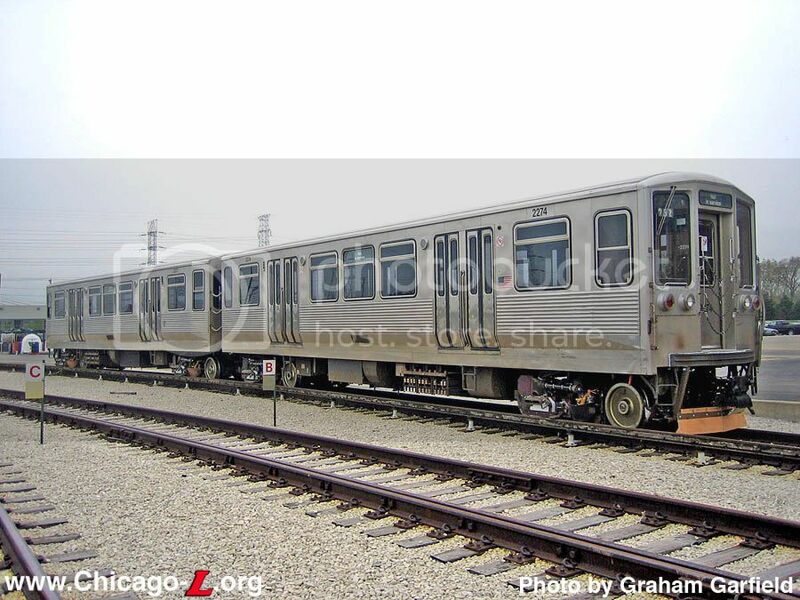 My avatar is a pic of our long awaited 5000 series Smart-Cars still on lease from Bombardier on an order that is not even finished.Chicago is just now getting our Smart-Cars, where as New York has had them since 1999. CTA moves too slow for me and has Way too many infrastucture problems. The MTA moves faster on projects,does many more expansions on an already vast system, has better equipment,better technology and most importantly,more jobs. So you guys can really see why I'm so into this. This is my career choice and I will accept any aspect of it. I-E; Motorman,conductor,rail car mechanic,track maintenance,and I'm even willing to start in lower postions until I obtain all the education I need to be apart of New York City Transit Authority's team. I feel that pubic transit is what I'm put on this earth to do. I am adament that I will achieve my goals and I just figured that BVEstation was great place to start. Can anyone tell me where to get the R62A cobra file for OpenBVE from? I'm tired of trying to find thread on it and the one that's on the downloads page is just the cab version i-e bve 2 and 4 versions. I have been searching for a couple of days now. I've become a little bit irritated,but I'm cool though.Lol. Can anyone offer a little bit of help please? Hello out there all the way from Chicago. I'm not new to bve but like everyone we all tend to have a problem sooner or later.lol. Anywho,Can anyone tell me why i can't get the R46 to work for me?